Clarence Duwell Dear is shown in a photo provided by the Pomona Police Dept.Pomona Police Dept. Police on Saturday were hunting an "extremely dangerous" man suspected of killing a California woman by setting her ablaze. 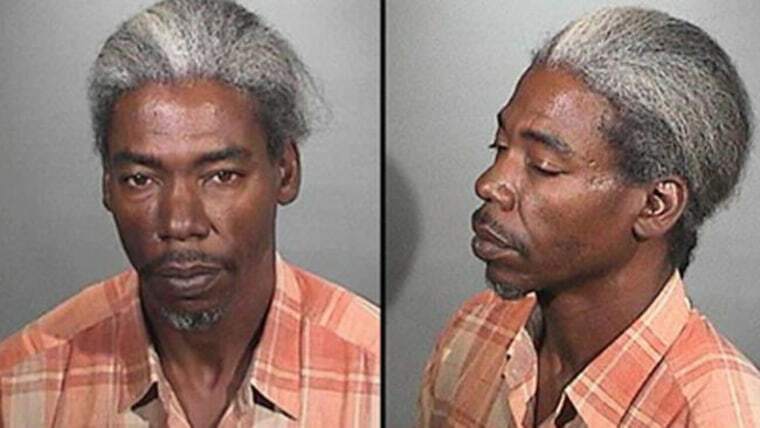 The Pomona Police Department said it had launched a murder investigation into the Christmas-Day crime and named 51-year-old Clarence Duwell Dear as a suspect. It said neighbors "who saw the victim run from the residence engulfed in flames" had tried to administer assistance as she collapsed in the street until local fire personnel arrived. Police said the victim — a 41-year-old Pomona resident — was treated for severe burns but succumbed to her injuries at a local hospital. Preliminary information suggested that an argument between the suspect and victim had escalated to physical violence, according to police. "It appears that during a domestic dispute, the suspect chased the victim from their residence and was able to douse the victim with gasoline," the statement said. Dear is believed to have fled the scene and is "considered to be extremely dangerous," the statement added.